Conserving Carbs? 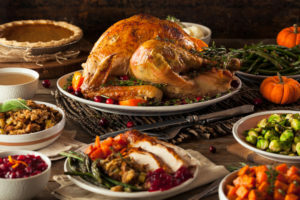 Here are Some Low Carbohydrate Thanksgiving Ideas. The ketogenic diet has caught the attention of much of America over the last several months, and for good reason; it works for many people. However, with the holidays quickly approaching, the opportunities for overindulging and becoming derailed from your successes are everywhere. There are endless parties, both with colleagues as well as family and friends, large meals to celebrate the holidays and seasonal baked goods that keep making their way toward us. Many of us are indulging a bit more than we may normally would and our bodies are likely letting us know. In an effort to reign in the excess without the feeling of sacrifice, we are offering up some keto-friendly swap outs for, what is for many of us, our biggest meal of the year. Our first suggestion is swapping out mashed potatoes for cauliflower. White potatoes are a high-carbohydrate food and are not included as part of a keto diet. Cauliflower, however, is a great substitute and can be prepared a number of ways. Steaming the cauliflower and then blending it in a food processor with olive oil, garlic, grated Parmesan cheese, cream cheese and salt and pepper to taste is a light and fluffy alternative that is sure to get rave reviews at the dinner table. You may even want to play around with this recipe to create a ´loaded´ version of the mashed cauliflower and top it with cheese, bacon and chives, all of which are keto-friendly. While we don’t have a comparable swap out for some of the other carb-laden favorites, such as dinner rolls and stuffing, we do have some other suggestions that put more bacon on the table and you would be hard pressed to find someone upset with that. Brussels sprouts often have a bad rap and many of us are hesitant to even try them but trust us on this one, and give them another chance to impress you. First, start with a pound of thick cut applewood smoked bacon. We recommend cooking it in the oven until you’ve achieved your preferred doneness. As you’re pulling the bacon off the cookie sheet, pour the excess grease into a pan on the stove to use to sauté your Brussels sprouts (which you should rinse and quarter). At about halfway through the cooking process add the crumbled bacon and continue to cook until done. Thanksgiving wouldn’t be complete without dessert options and whether you’re a cheesecake, pie or cookie person, there are a number of keto-friendly dessert options that you can use to swap out those heavy desserts. Some of our favorites include chocolate covered strawberries, (keto) chocolate truffles and chocolate blueberry clusters. While not quite the same as a traditional pumpkin-themed dessert, these offerings still satisfy your sweet tooth without destroying your diet. Whether you decide to go low-carb or all out this Thanksgiving, you can find all the ingredients you need for your feast at Charlie Johns. We have the turkey, the trimmings and everything in between! Stop in today and start shopping for your Thanksgiving festivities.